With Valentine’s Day just around the corner, we are please to welcome guest blogger Michelle Peterson to HopeXchange, with an important topic for this time of year. What if you are alone, or feel alone, on a day set aside for love and romance? Michelle has the answer! With Valentine’s Day just around the corner, you can see heart-shaped candies, heart balloons, Valentine’s cards, and other trinkets everywhere you go. If you are not dating anyone special or have just recently broken up, these things will serve as a reminder that you are all by your lonesome on the most romantic day of the year. Technically, you are not actually alone – 44 percent of adult American population is single. Almost half the population of the country is sailing in the same boat as you – take heart! Instead of hiding away on Valentine’s Day, why not celebrate your singlehood this year. Here are six amazing ways to survive being single on V-Day. Often, you get carried away with the entire idea of romantic love and forget to love the most important person in your life – you. Especially if you’ve had a particularly tough year or are celebrating a milestone–such as a certain number of days, weeks, months, or years’ sobriety this Valentine’s Day, why not become your own Valentine and indulge in self-love. Go for a massage, treat yourself to a movie, or just curl up with a good book. Whatever you choose, do something you enjoy that will help lift your spirits! What better day than Valentine’s Day to recognize the furry friend who’s been giving you unconditional love all year. Take your dog to the local dog park for some play time or do some Valentine’s-inspired, dog-friendly crafting. Whatever you choose to do, they’re sure to enjoy the extra attention and the quality time with your four-legged loved one will give you a boost as well. Instead of watching the sappy romantic movies on Valentine’s Day, plan a movie marathon that is totally Anti-Valentine’s. Include Eternal Sunshine of the Spotless Mind in your list as this movie is set in a world where it is possible to use a memory wipe procedure to erase painful memories of your past relationships. The best movies to watch are horror flicks – if you are scared out of your mind, you will have not time or inclination to think about anyone’s single status! Exercising is perhaps one of the best ways to get rid of your bad mood on Valentine’s Day. When you exercise, you release endorphins that not only reduce anxiety, but also make you feel good. Check to see if there are any classes scheduled for the V-Day. Choose the one that you have always wanted to try, but didn’t think you could manage it. When you finally come out of the class, you will be a whole lot more confident and happy. There is no way you can avoid all the Valentine’s Day trinkets and lovey dovey couples, when you get out of home on this day. It is not necessary that you have to make any plans, you can just sit back and relax at home. Approximately 45 percent of US households subscribe to Netflix, and if you are one of them, it is time to binge-watch all the series that you’ve been missing out on. 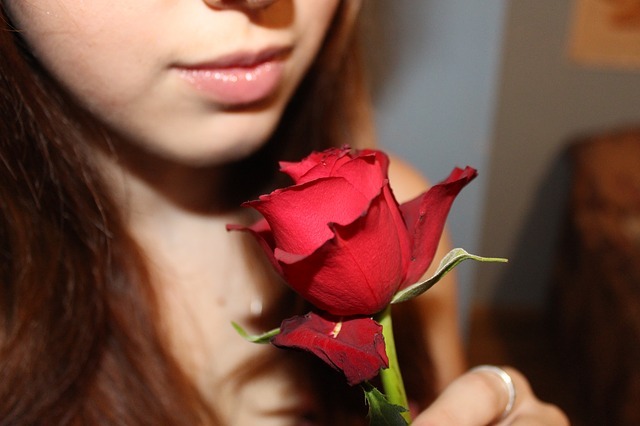 The best and the most simple way to survive being alone on Valentine’s Day is to make yourself feel good – so go buy flowers for yourself or get yourself a nice gift. Make it a day about you!